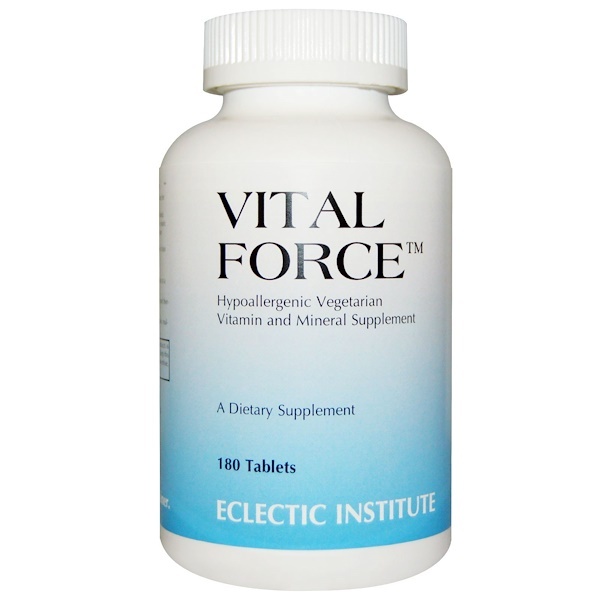 2 tablets per day provide adequate daily supplementation to a good natural diet. 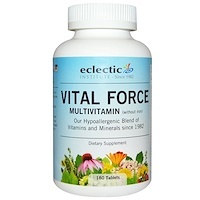 4 tablets per day provide a well balanced maintenance and therapeutic level of supplementation. 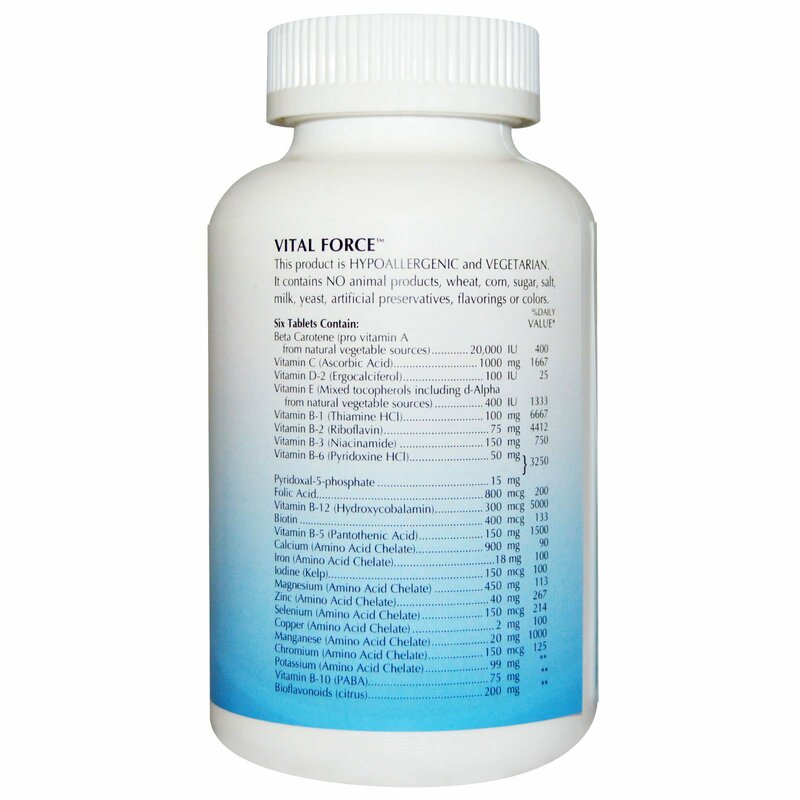 6 tablets per day supply mega-supplementation for chronic malnutrition or disease, high stress and athletes. 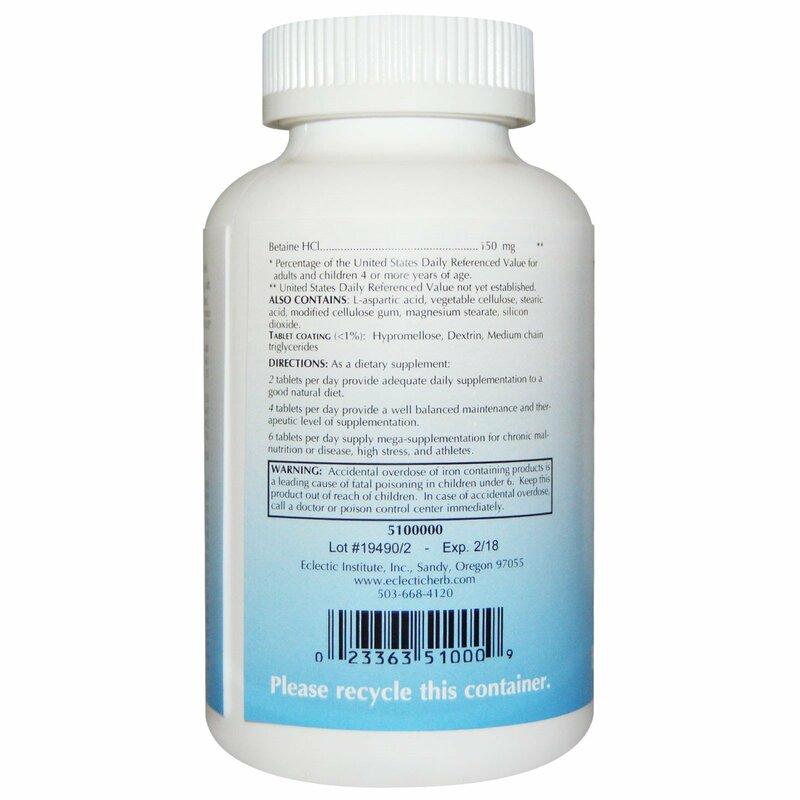 Also contains: L-aspartic acid, vegetable cellulose, stearic acid, modified cellulose gum, magnesium stearate, silicon dioxide. Tablet coating (<1%): hypromellose, dextrin, medium chain triglycerides. This product is hypoallergenic and vegetarian. It contains no animal products, wheat, corn, sugar, salt, milk, yeast, artificial preservatives, flavorings or colors. * Percentage of the United States Daily Referenced Value for adults and children 4 or more years of age. ** United States Daily Referenced Value not yet established.